As Dottie prepares to visit her estranged father, who’s in hospice care, memories flood her mind. Can she find peace? As the light flicked on, the turquoise stone, set in sterling silver, sent a piercing gleam from its polished surface back into the room. The silver had once shone just as much, but years of wear followed by years of neglect had clouded the tarnished metal many times over. Given as a gift to twelve-year-old Dottie by her father, it probably had never been intended to last as long as it had. But even as a child, Dottie considered what items she would keep for a lifetime. The teddy bears and notes from friends had disappeared long ago; the necklace hadn’t. An adult woman now, she reached into the sparse jewelry box, with its broken drawers and dusty ring cushion, to where the single chain hung from the long-ago-bent revolving hooks. The cool silver caressed her warm fingertips as she slipped it off the wrung to look closer at the pendant. Memories floated to the surface, and her mind clutched one, unwilling to let it pass. Dottie sprinted to the next wooden grave marker, then waved to her dad, trying to hurry him along. “Do you know who he was? After years of begging her dad to visit the old west, he finally conceded and booked a weekend for them in legendary Tombstone. The courthouse museum, with all the old pictures and artifacts, had kept Dottie’s attention for the ten minutes it took her to run through the rooms. But her dad finagled an additional ten minutes with promises of a carriage ride and ice cream cones. Spring break’s weather, still cooler than summer, left the dusty-road travelers feeling a little warm under the collar. Or it would have, if they’d worn collars instead of T-shirts. Either way, the breeze was hot enough to enjoy an ice cream in the shade. Wild West Days, an annual Tombstone celebration of the armed forces, entertained them with a parade and plenty of people in period costumes. But Dottie spent much of her time staring into an antique store’s jewelry case. She couldn’t help it. The small blue-green stone held her gaze, mesmerizing her. And every time they walked past the shop, she tugged on her dad’s arm until he followed her inside, shook his head no, and thanked the shop owner. The morning they were leaving, she convinced him, one last time, to walk the dusty trail to the store. But when she hurried to the case, ready to begin her final pleas, she stopped short. It was gone. Crestfallen, she exited the building and traipsed away, her dad following behind. Ten minutes later, convinced by her father, Dottie shuffled into the Boothill Cemetery. Unimpressed by the lack of trees and grass, she scanned over the piles of rock interspersed with prickly pear and barrel cacti. Then one of the markers caught her attention, and she burst out laughing. ‘Lester Moore Shot by Four Slugs from A-44, NO LES NO MORE.’ After that, she darted from one to another, stopping only at the more interesting grave sites. Her dad smiled at her each time. “I think you’re losing your hearing,” he said, shaking his finger at her as he walked toward the passenger side. Giving up, she leaned against the truck and twisted off the water bottle lid, enjoying her respite from the sun in the sliver of shade made by the cab. When her dad called her, she climbed in, still grinning. “So, did you have fun?” he asked. Three short bounces on the seat confirmed her answer. He chortled as he ruffled the top of her head. It wasn’t until they were almost home, that Dottie looked up at the rearview mirror to see what kept flashing light into her eyes. She must have looked past it a billion times. And as she stared at it, her eyes widened. “Well, I wanted it to be a surprise.” His eyes twinkled as he gave her sideways glances. Tears welled in her eyes, and she blinked lightly to keep them from falling. Whether she reined in the tears or not barely mattered. She couldn’t relieve the tension wrapped around her lungs and heart, thousands of rubber bands winding tighter and tighter. Gasping for air, the dam in her mind broke, and she leaned against the counter from the force of the memory. Her dad hung his head and stared at the ground, his hands in his back pockets. She stomped out of the house, letting the thought hang there. Then what? That night she’d ripped the chain from her neck and threw it across her bedroom where it landed in the corner. It lay there for a month. Phone calls, emails, late night and early morning knocks at the door all went ignored. She’d refused to allow him an apology. Tears now flooded the counter. How could she have gone so long without seeing her father? Even after the divorce, she’d refused. She’d never told him he was right. Mental anguish kept her from admitting the abusive power of her ex-husband’s manipulation. Pride kept her from calling home. With the silver polished and as shiny as it would get, she undid the tiny, gold safety pin she’d used to hold the chain together in the jewelry box and began the process of replacing the broken clasp. A few minutes later, she sank into the driver’s seat of her car. The worn building needed a facelift, and Dottie wondered what kind of place she’d relegated her father to. When the social worker called, Dottie had refused to see him but agreed to take responsibility for his care. After three years in a home, they recommended he move to hospice. Hospice. Why did she allow herself to hang onto such anger? The hate he must feel for her… Painful surges coursed through her limbs as the bands tightened around her chest again. How could she have hated him for so long? A nurse escorted her toward a dark room. Her dad lay in a bed, able to view a TV with little volume or a generic print of a clay flower pot. Though a few monitors beeped, no other support was provided. The sight of withered skin and a frail body that bore some resemblance to her dad brought her to her knees next to the bed. She picked up his cold hand and brought it to her lips before placing it on her cheek. His thin eyelids, more ashen than she remembered, fluttered, and tiny slits opened. “Dot.” Her name croaked from between his dried lips. “What for?” Gentle pressure from his fingertips told her he was trying to squeeze her hand. A wash of emotion flooded her system. She’d missed him. The whole time. Years of missing him. It’s why she didn’t get rid of the necklace. But anger had taken control. Sobs stopped her from speaking, but she took a rag and, while shaking, gently wiped his mouth and nose. The single word stopped her fidgeting. The words slipped between his shallow breaths. His head moved left and right again. She sat by his side every night and every weekend for three weeks. His inability to speak much meant she shared the stories. Stories of abuse and divorce followed by stories of finished education and success in the work place. “I teach first grade and adore my students,” she told him. As the stories continued, she switched to memories she had of them together. Of course, she mentioned Tombstone. He pointed at the necklace and tried to speak, but she patted his hand and told him to rest. A week later, she pulled out the cardboard box hospice had given her. With the funeral in a few days, she wanted to find the picture of her and her dad that she’d placed next to his bed. On top of the framed photo, lay a worn leather-bound journal. Her fingers traced the pattern on the outside. Opening the journal, Dottie found only a few pages filled. Took Dottie to Tombstone. She begged so much for a vacation, I was certain she’d die if we didn’t go somewhere. I picked up this journal thinking I’d start keeping track of other vacations we take. Dottie keeps me on my toes, but I can’t help but love her. It’s hard not to laugh, even when she breaks the rules. I suppose I wouldn’t laugh if she got hurt for not following them though. We did all kinds of things. I enjoyed the courthouse, but Dot has a way of pulling me on to greater things. She bounced all over the carriage during our ride, and I’ve never seen a twelve-year-old enjoy ice cream quite the way she did. Biting the bottom of the cone first and catching the drips from underneath and above. She’s one talented girl! She must have dragged me into the same store five different times. 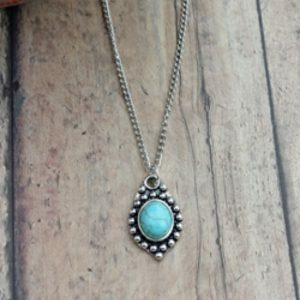 Had her eye on this turquoise necklace. 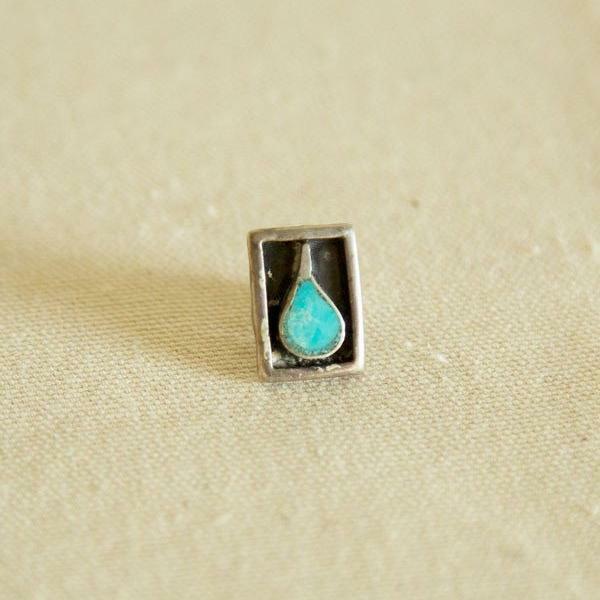 Never in my life did I think turquoise would be so expensive. With just the two of us, purchasing it without her noticing was nearly impossible. But I slipped a note to the owner with the money and told her we’d be back the next day. Somehow, I knew Dot would have me back in there. I put up a bit of a fight for show. The owner managed to give me the necklace as Dottie searched the case for the missing thing. Can’t believe I pulled it off. As I was placing the necklace for her to find, I realized the tiny pendant was a locket, the latch is hidden as a button next to the stone. Knowing it would be a long time before Dottie figured that out, I scratched out a note for her. So if you notice the last page missing here, that’s where it went. Dropping the journal, Dottie fumbled with the clasp to remove the necklace and examine the pendant. Even as she cleaned it, she hadn’t found any button or seam indicating it was a locket. A small round of silver held the set stone, and she examined the several decorative posts that stood against a darkened etching. Two larger posts stood slightly taller than the others. Pushing her thumbnail against the one on the right, nothing happened, but when she pushed the one on the left, a popping noise sounded. As she lifted the top, she realized the smaller bottom rested inside of it. A tiny scrap of paper fell into her palm. 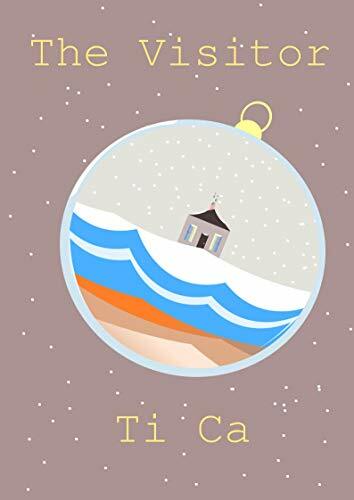 Waiting at home for her husband to return on Christmas Eve, Old Mrs. Langstrum soon finds herself visited by a stranger in The Visitor by Ti Ca. Published by Patritus LLC., The Visitor is written by Ti Ca, an author I would love to introduce you to, but whose Amazon biography runs more like an ad for her publisher. The Patritus website states they represent authors who prefer their privacy. Though unusual, I hope both publisher and author the best. At the beginning of The Visitor, we meet Mrs. Langstrum, an old woman who waits for her husband to return from the store with food on Christmas Eve. Through her eyes, we learn the heat is out, probably because of the breaker, and the cabinets are bare. In time, she pulls out a worn note written by her husband instructing her to take two pink pills when she’s hungry. She does so. At this point, I found myself wondering if I was reading a science fiction novella or if Mrs. Langstrum struggled with some sort of a condition. The Visitor isn’t science fiction. Mrs. Langstrum opens the door, after hearing a knock, and finds a stranger on her porch. Allowing him in to wait for her husband, the two begin to talk and share their stories. 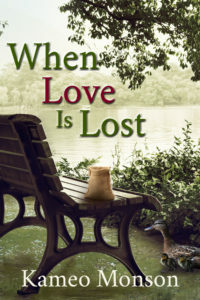 Much of the book is written in first-person as the characters share various stories but switches to third-person when they are together in the present. Often times, the stories, which overlap throughout the book, come at the start of a chapter and, if you’ve stopped reading for a time, you may struggle to remember who is speaking. This can make the overlapping stories confusing. 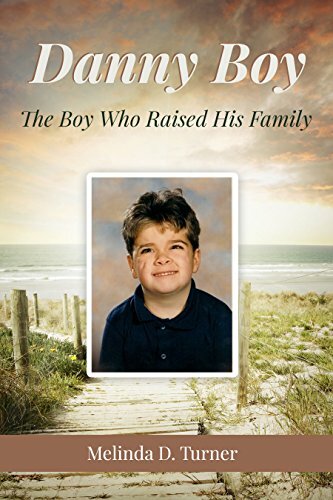 The stories deal with several related topics: father and son, husband and wife, depression, uneducated to educated, as well as Mrs. Langstrum and the visiting stranger. Each story leaves you wanting to hear more until they all come together. I found myself trying to understand the ending, and I’m not sure I got there. Though I like books that make me think, this one left me feeling similarly to how I felt after watching the last episode of LOST. Still, the writing, vocabulary, and editing are impeccable. I’ve read many indie books that do not come close to Ti Ca’s perfection in these areas. My suggestion to those interested in reading this novella is to read it in one sitting. Doing so will give you a better shot at following the various storylines. It’s Christmas Eve but the furnace has gone out, the breaker needs to be reset, and the cupboards are empty. As Mrs. Langstrum shivers in her cold, dark house, waiting for her husband to arrive from his quick trip to the store, an impending snowstorm descends in earnest. Realizing her precarious situation, Mrs. Langstrum decides to get help. But who should she ask? Neither the Millners nor the Wylers appear to be home, either caught by the storm or other unforeseen events. Just as she determines to make her way into the town, a knock arrives at her door. It’s a visitor. He’s a stranger, likely a salesman. But before she can shoo him away, he tells her that he has news of her husband.